Good Communication Design is a title given to entries participating in the A' Design Award & Competition that comply with the "Good Communication Design" criteria of A' Design Award & Competition, there is not a single category called "Good Communication Design Award" however entries from several design award categories as listed in this page could be eligible for the title. Communication design is a multi-disciplinary science that is a combination of many design fields (graphics, sound, and motion graphics design), information-development and game-theory which is concerned with how printed, crafted, electronic media or presentations communicate with people. Good communication design means carefully communicating the right information to the correct audience with the minimum amount of efforts. Good Communication Design requires to make clever use of existing mediums, to constantly explore for new mediums and to create new media channels to ensure the message reaches the target audience in a correct, fast and efficient manner, preferably with the lease amount of resources involved. Good Communication Designs can be seen in the form of viral marketing campaigns, emotional motion graphics, highly memorable advertisements and iconic posters or excellent graphic work. From a social perspective, good communication design is of highest relevance; discovering new ways to communicate information helps advance mankind faster than any other field as we built upon others work and science through correct and good communication interchange. New methods of communication can be used for social campaigns and projects to create awareness to social issues that need attention, and if we could communicate information faster, cheaper, lossless and correct then we could educate more. Given the importance of benefits of good communication, we define good communication designs as projects that could deliver the information in a faster, economic, lossless and correct way; for example a viral advertising is fast and economic, an interactive book is lossless and correct. Furthermore, if a communication ignites creative thinking or emotional response it is remembered and kept in memory for longer periods, thus a funny commercial could indeed be an important design inspiration to develop future educative communication designs. “Good Communication Design Award” title is given to A’ Design Award winning works that deliver the right / intended message to the target audiences in a faster, economic, lossless and correct way which also ignite creative thinking and positive emotional response from the information consumers. 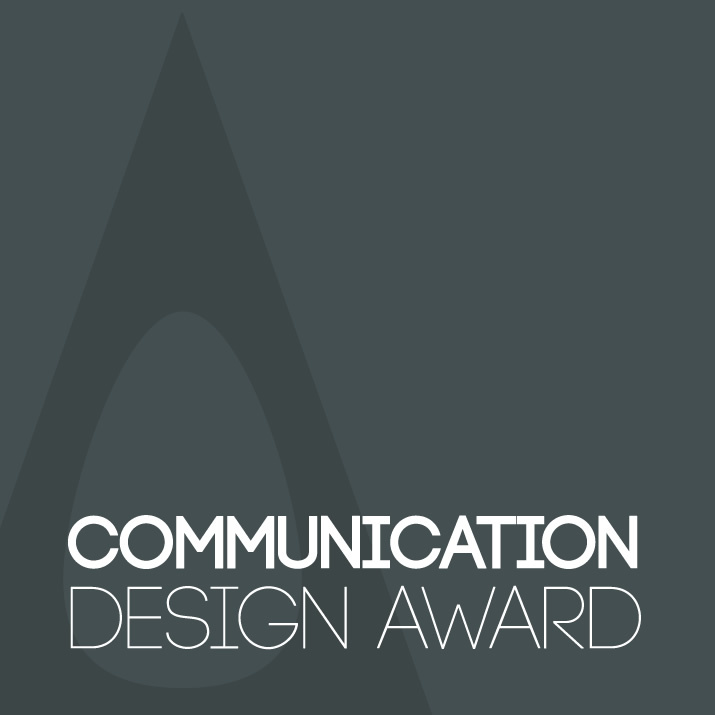 Entries to the good communication design award could be from a variety of fields and industrial sectors including graphics design, communication design, interface design, and advertising design. Drawing Materials, Drawing Bases, Films, Structure Materials, Adhesives and More. Symbols, Logos, Typograhpy, Posters, Books and Page Layouts, 2D Packaging and More. Public Campaigns, Volunteerism Projects and Designs for Social Impact. Writings, Journal Articles, Literature, Creative Content, One-liners, Headlines, Texts and More. Websites, Landing Pages, Interactive Applications, Applets, Web Gadgets, Cloud Software and More. 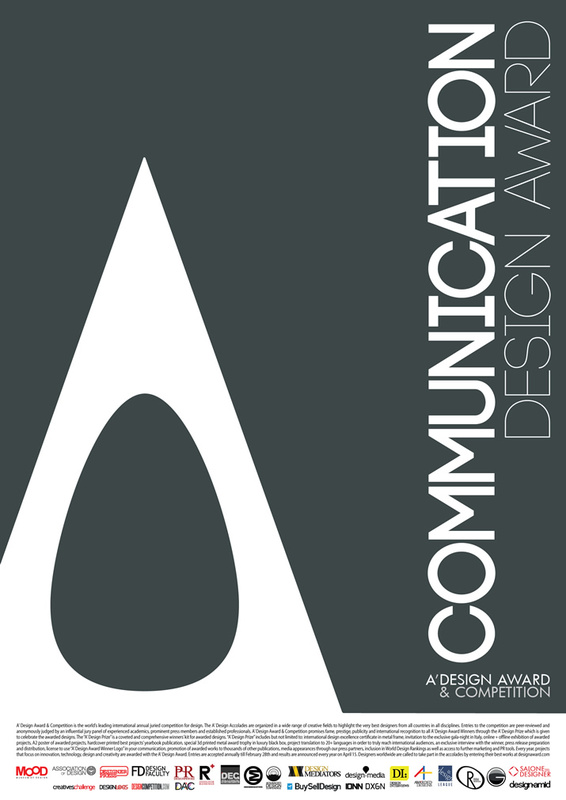 Click on a category name above to discover more details and see previous Communication Design Award laureates, or view top and recent Communication Design Award Winners (all categories).